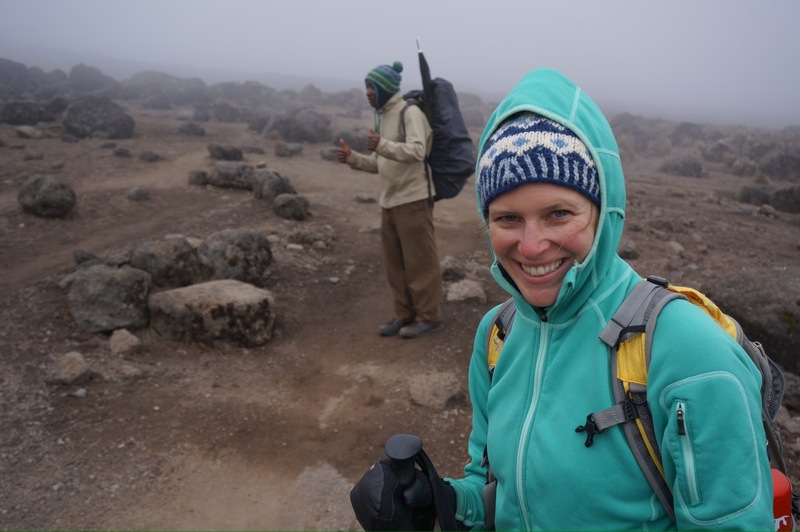 Nothing on this trip has been more daunting than the expectation of our 7-day Kili trek, so we were eager to finally start climbing. 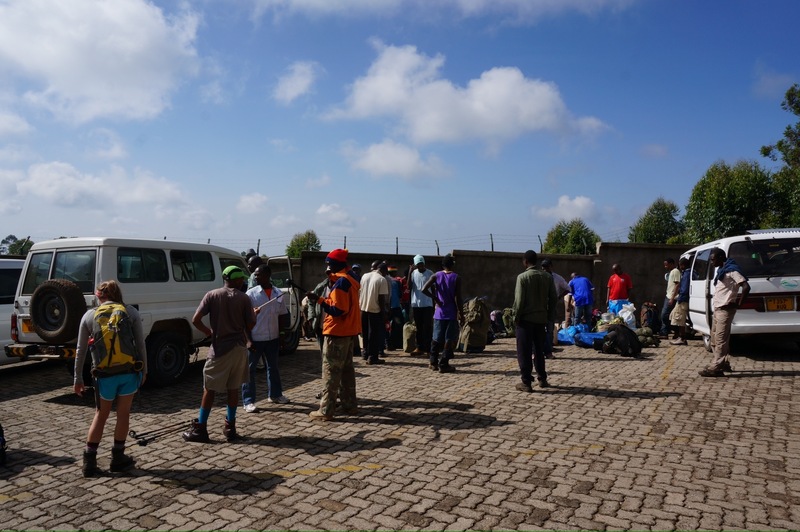 We arrived at the Machame gate to find lots of tourists, a few monkeys, and tons and tons of porters. 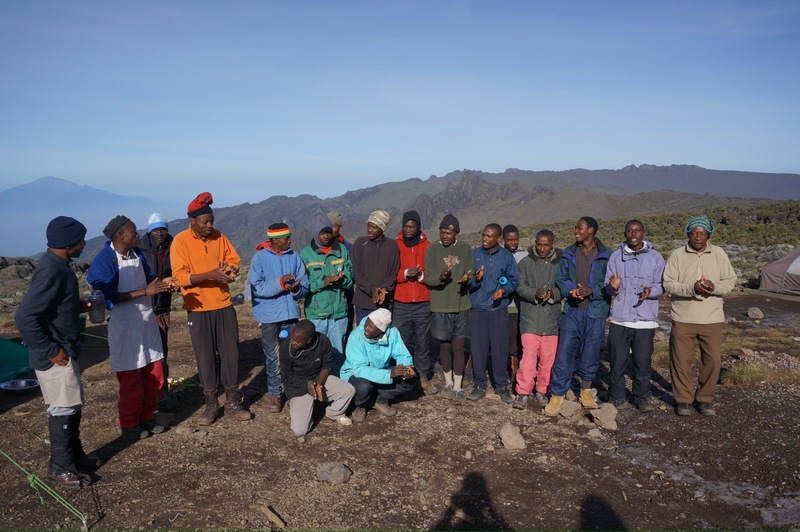 For our two-person climb we had a crew of 16 porters, one guide, and one assistant guide. Yep, there were 18 people ready to help us summit. Unbelievable, and extremely humbling. 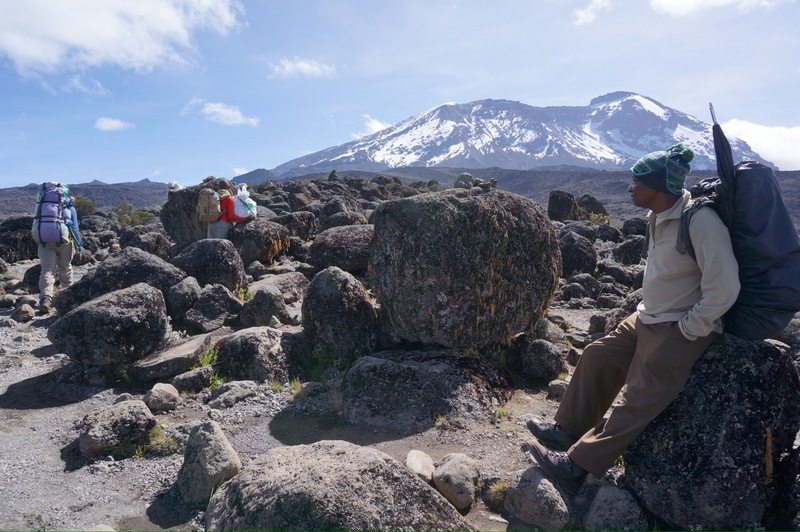 Our guides, Ayumwi (clocking in at age 66 but looking 20 years younger) and John (or ‘Kaka John’ for brother John) were awesome from the minute we met them. 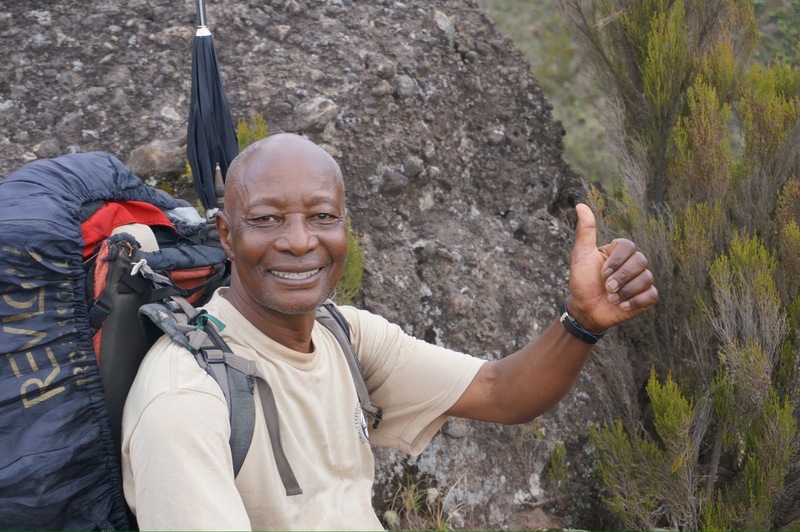 We couldn’t have been happier to be paired with such great Kili guides. 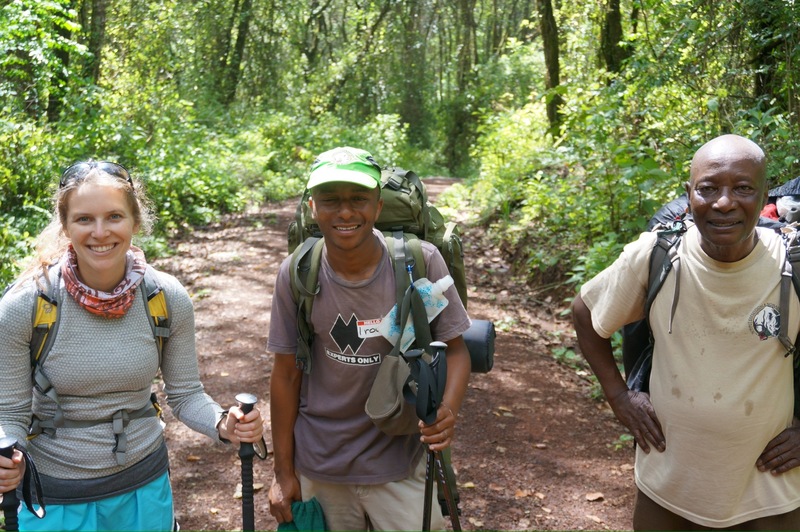 Everywhere on the trail (and enscripted at the trailhead) you hear one phrase repeated over and over again: ‘pole, pole,’ – or ‘slowly, slowly.’ All day long it’s ‘pole, pole.’ Ayumwi and John did a great job of setting a slow and steady pace, which is the best way for to acclimatize and maintain energy during the ascent. 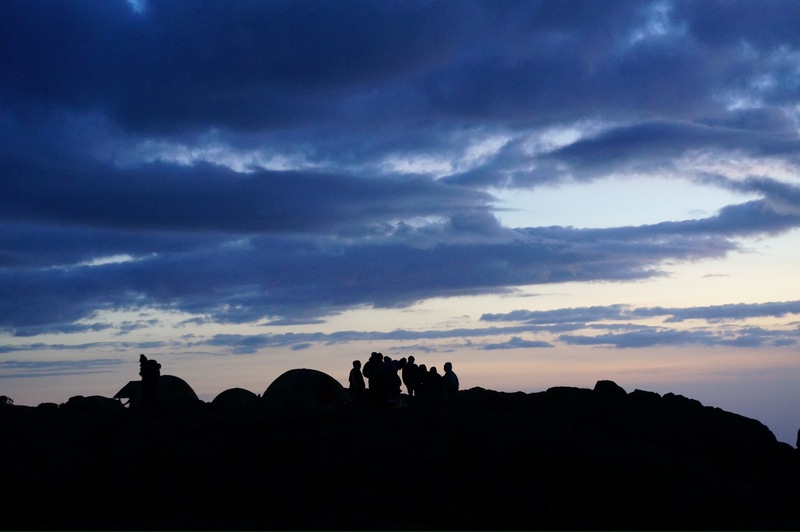 We saw other groups power past us, sweating, huffing, and puffing — and in the end we made it to the campsite before them. 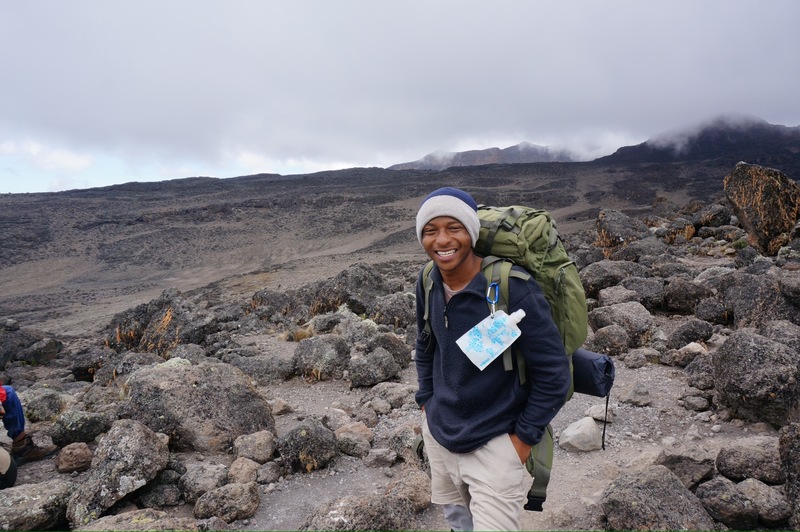 Slow and steady wins the race on Kili. 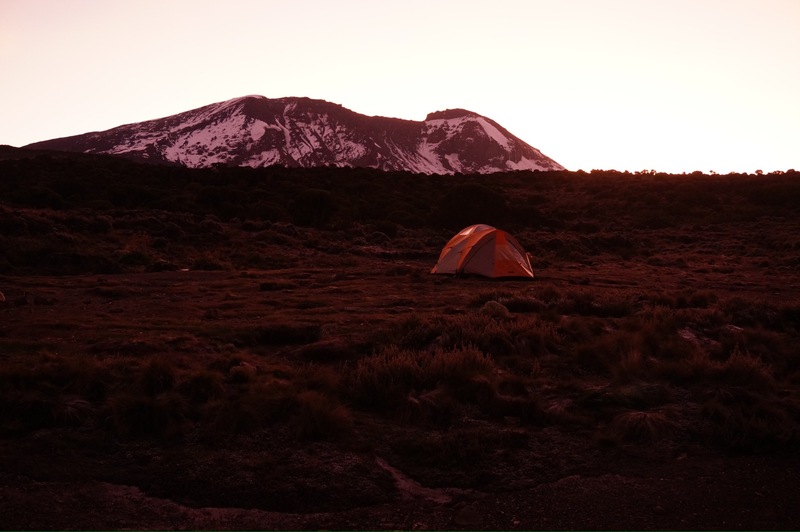 After about six hours on the trail, we made it to our first campsite, Machame camp. We were greeted with bowls of ‘hot water for washing’ then popcorn and hot tea. 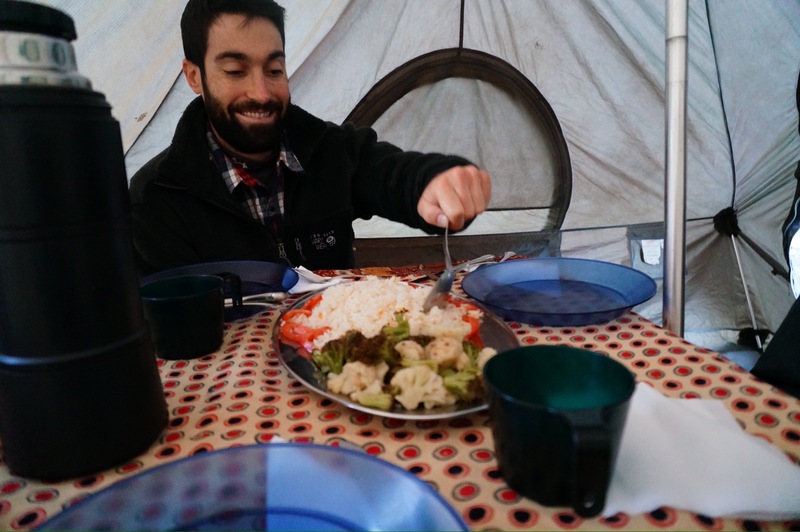 We had our first mountain dinner by candlelight/headlamp and were cozy in our tents by 8pm. Life on the mountain suits us! Today felt like our first ‘real’ day on the mountain. We were up at 6:30am for vital signs, then coffee and tea in our tent. 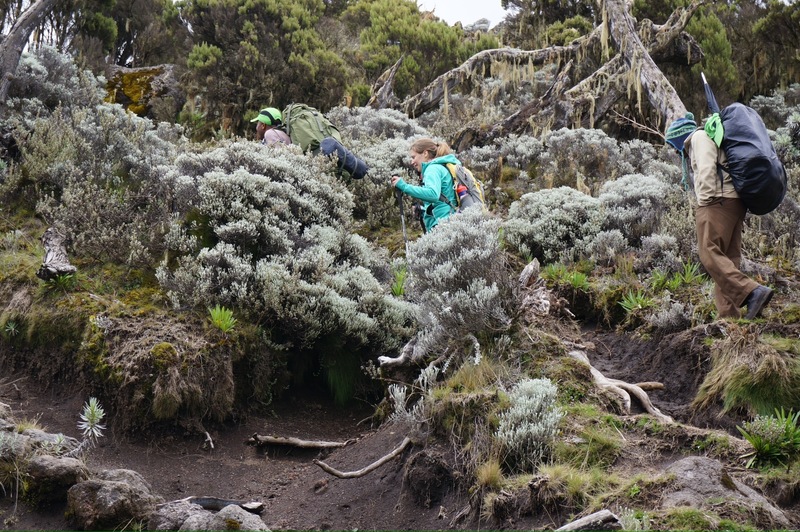 We took turns drinking tea and sprinting to the bathroom (or ATM machine, as our porters call it…and yes, they carried a bathroom up the mountain for us) as our stomachs were still adjusting to Africa. Breakfast was a fruit platter with fresh bananas, mango, papaya, avocado, plus hot porridge, eggs, bacon, and toast. 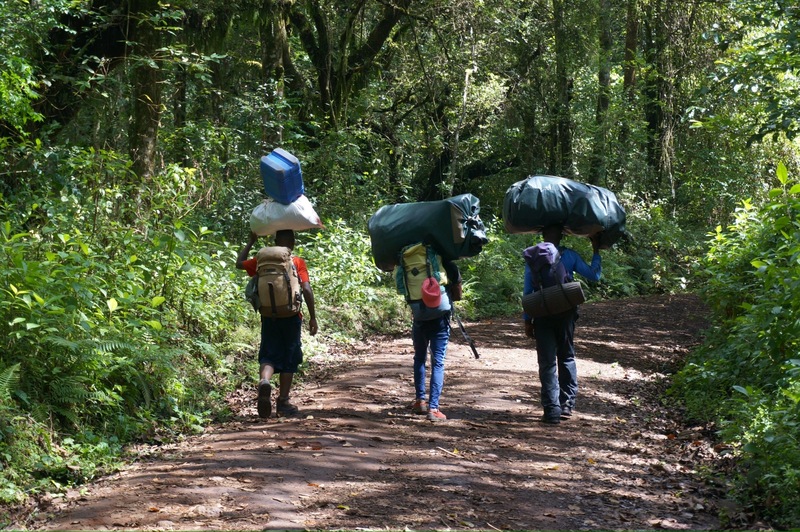 The SENE team carries a new supply of fresh food up the mountain every three days. Amazing. The day two hike was short but very steep, as we ascended to 13,000 feet in about five hours. Even with the steep trail we felt fine, though Dan was a little dizzy near the end. 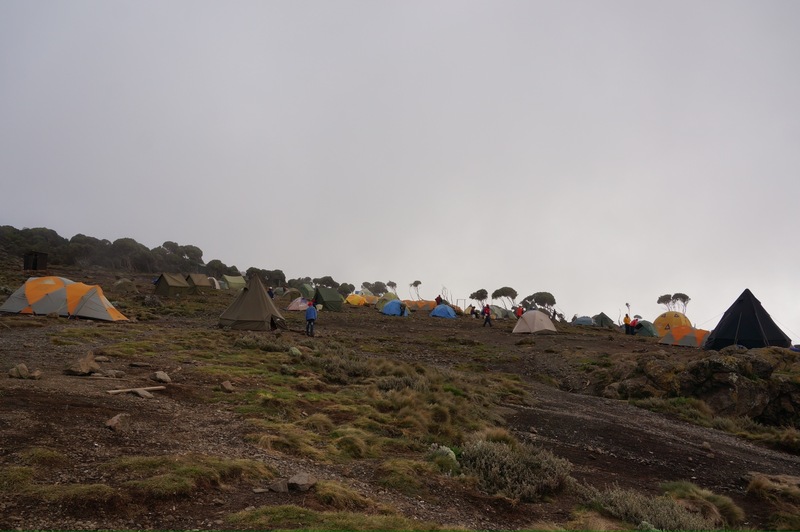 We later heard stories of major altitude sickness on day two, so thank goodness for Diamox. The scenery was beautiful – lush and green with fog rolling in and covering us instantly. We had very little rain which made the steep, rocky terrain much easier to manage. 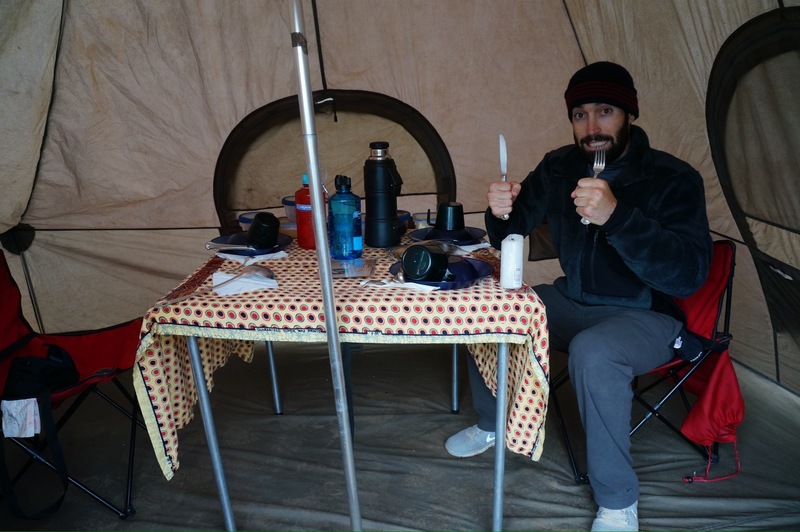 By 1pm we arrived at Shira camp, changed into long underwear (once you stop moving, it’s very cold!) and had a hot lunch. Then we snoozed and read in the tent until dinner. It’s pitch black by about 6:30pm and the whole camp is silent by 8pm. We read, wrote in the journal, and mentally prepared ourselves for day three — a long one all the way up to 16,000 feet! On day three we conquered a 4.5 hour ascent to Lava Tower at 16,000 feet. The top of Lava Tower was desolate and freezing. 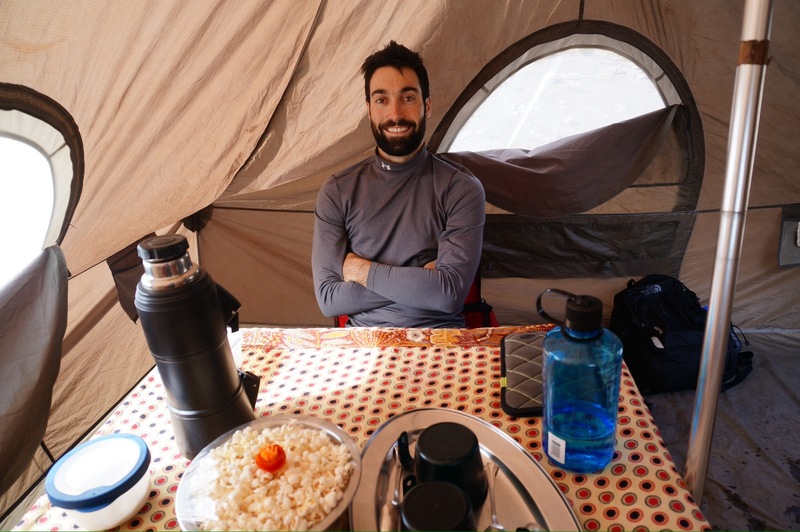 Some (crazy) people camp there, but we just stopped for a quick (and snowy) lunch to let our bodies acclimate to the elevation, then descended to 13,000 feet to recover and sleep. 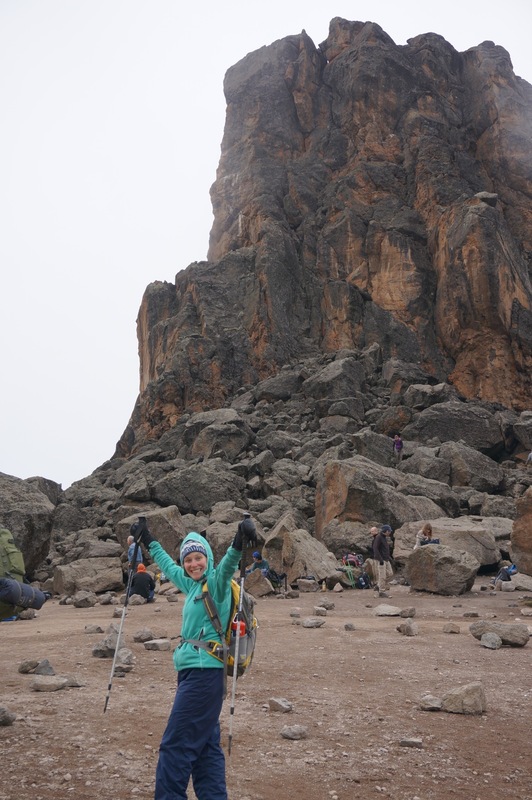 Climb high, sleep low — as long as we didn’t have to stay at Lava Tower, we were happy! After lunch we made our way down to Baranco hut and had our first rainy hike. Gabe and Becca – we have NO idea how you did this during a monsoon! 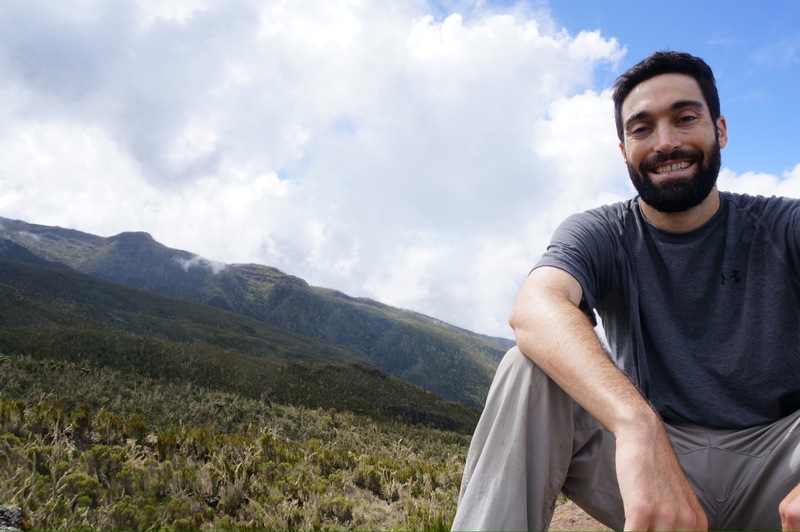 This entry was posted in Kilimanjaro, Tanzania on March 8, 2013 by Jill. I hate to tell you this Muffin, but I think you might have been “switched at birth” when we were at Alta Bates. I’m going to look into this! I have seen photos of Dad camping in the snow and I know you went river rafting in your 20s, so while I’m not ruling out the switch-at-birth, it’s possible I inherited this from you guys! 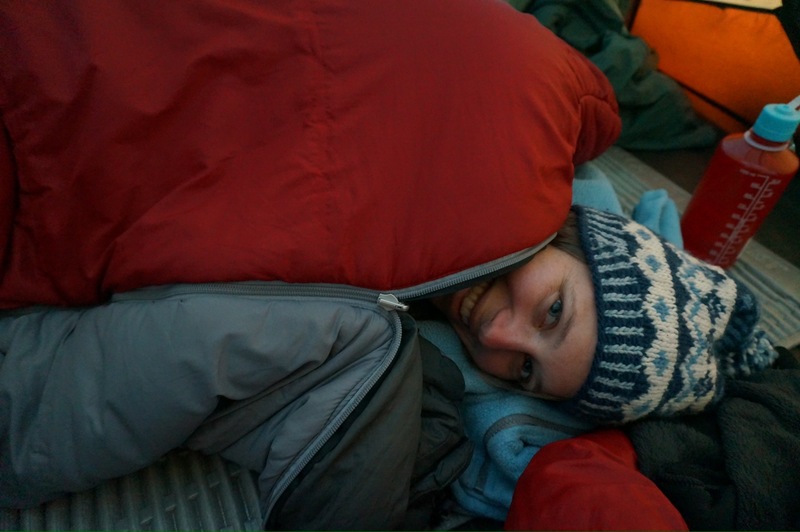 Also, the camping thing will not last forever…getting out of a warm sleeping bag in the middle of the night to go to the bathroom outside in below freezing temps – well, I think I might be done with that. 🙂 Yay Dan & Jill. I’m proud to tell you that I did the whole climb without Diamox. I’m allergic!